Milan, 23 February 2017 – Prysmian Group, world leader in the energy and telecom cable systems industry, has been awarded a new important contract – in consortium with the leading international infrastructure group Balfour Beatty – for the realisation of a new High Voltage Direct Current (HVDC) interconnector between France and the UK through the Channel Tunnel. The project is one of the European Commission’s Projects of Common Interest and was awarded by ElecLink, a wholly owned subsidiary of Groupe Eurotunnel, that will build an interconnector through the Channel Tunnel to provide a power transmission link between the UK and France with a capacity of a 1000 MW in either direction of flow for a total project value for the consortium of approximately € 219 million. The share of Prysmian that will coordinate the design, supply, installation and commissioning of the interconnection is about € 79 million. “The development of power transmission interconnections is of paramount importance in Europe and we are proud to make our technologies and experience available for the realisation of a project with such a high strategic value,” said Massimo Battaini, Energy Projects Senior Vice President at Prysmian Group. The ElecLink HVDC cable link will increase the energy exchange between France and the UK contributing to the integration of energy markets and enabling the diversification of energy sources. The ElecLink interconnector will provide cost effective additional power transmission capacity with minimal environmental impact through the interoperability of the Channel Tunnel, a low environmental impact project with no overhead lines and no undersea cables providing carbon reduction of ~6.1 m tonnes. 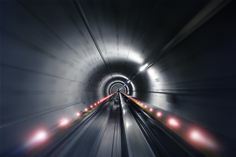 The project comprises of a ± 320 kV extruded HVDC underground cable turnkey system that includes the engineering, production and installation of one HVDC symmetrical monopole circuit along a 51 km route length to be installed into the Channel Tunnel. The HVDC cable will connect the future converter stations located in Peuplingues (FR) and Folkestone (UK). As part of the complete system Prysmian will also supply and install underground cables for the HVAC link to the Sellindge substation (UK). All cables will be manufactured in Prysmian’s plant located in Gron (France) one of the Group’s excellence centres for EHV cables, both AC and DC.